Salk Institute researchers have discovered a holy grail of gene editing — the ability to, for the first time, insert DNA at a target location into the non-dividing cells that make up the majority of adult organs and tissues. The technique, which the team showed was able to partially restore visual responses in blind rodents, will open new avenues for basic research and a variety of treatments, such as for retinal, heart and neurological diseases. Until now, techniques that modify DNA — such as the CRISPR-Cas9 system — have been most effective in dividing cells, such as those in skin or the gut, using the cells’ normal copying mechanisms. The new Salk technology is ten times more efficient than other methods at incorporating new DNA into cultures of dividing cells, making it a promising tool for both research and medicine. But, more importantly, the Salk technique represents the first time scientists have managed to insert a new gene into a precise DNA location in adult cells that no longer divide, such as those of the eye, brain, pancreas or heart, offering new possibilities for therapeutic applications in these cells. To achieve this, the Salk researchers targeted a DNA-repair cellular pathway called NHEJ (for “non-homologous end-joining”), which repairs routine DNA breaks by rejoining the original strand ends. They paired this process with existing gene-editing technology to successfully place new DNA into a precise location in non-dividing cells. 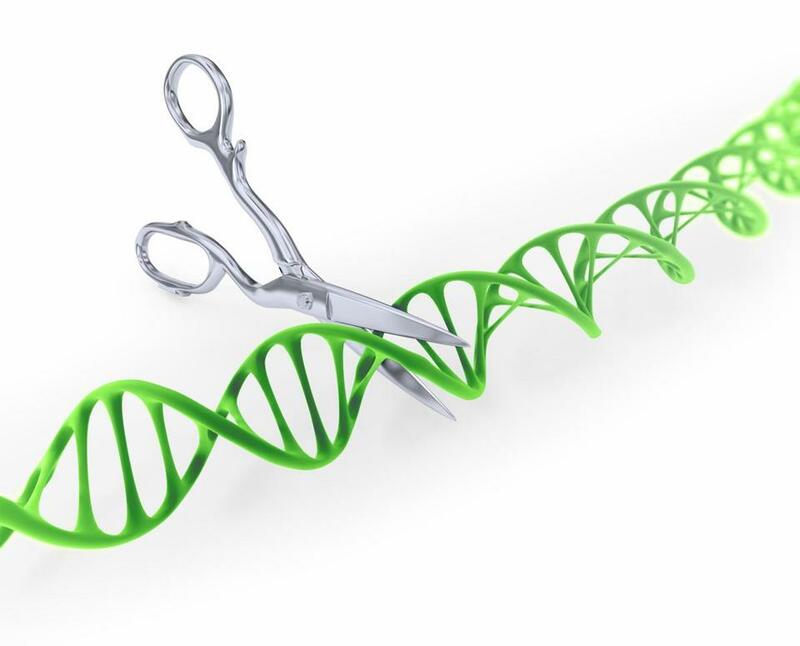 First, the Salk team worked on optimizing the NHEJ machinery for use with the CRISPR-Cas9 system, which allows DNA to be inserted at very precise locations within the genome. The team created a custom insertion package made up of a nucleic acid cocktail, which they call HITI, or homology-independent targeted integration. Then they used an inert virus to deliver HITI’s package of genetic instructions to neurons derived from human embryonic stem cells. “That was the first indication that HITI might work in non-dividing cells,” says Jun Wu, staff scientist and co-lead author. With that feat under their belts, the team then successfully delivered the construct to the brains of adult mice. Finally, to explore the possibility of using HITI for gene-replacement therapy, the team tested the technique on a rat model for retinitis pigmentosa, an inherited retinal degeneration condition that causes blindness in humans. This time, the team used HITI to deliver to the eyes of 3-week-old rats a functional copy of Mertk, one of the genes that is damaged in retinitis pigmentosa. Analysis performed when the rats were 8 weeks old showed that the animals were able to respond to light, and passed several tests indicating healing in their retinal cells. The team’s next steps will be to improve the delivery efficiency of the HITI construct. As with all genome editing technologies, getting enough cells to incorporate the new DNA is a challenge. The beauty of HITI technology is that it is adaptable to any targeted genome engineering system, not just CRISPR-Cas9. Thus, as the safety and efficiency of these systems improve, so too will the usefulness of HITI.